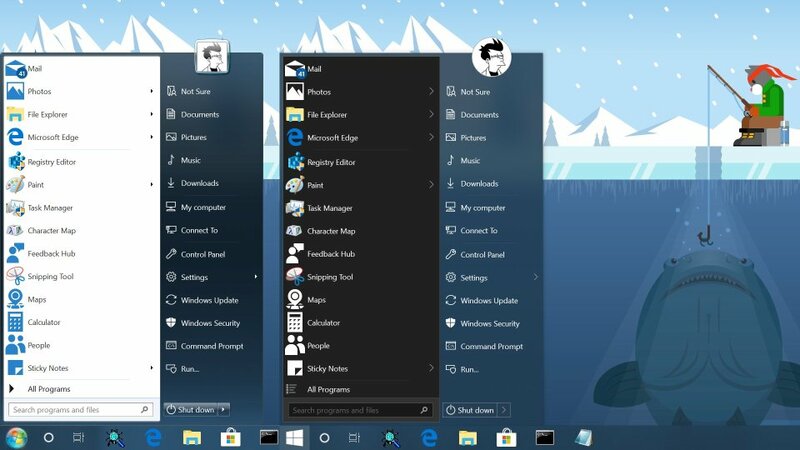 Windows 7 start menu is back and it's better than ever! Get the most useful and authentic start menu for Windows 8, 8.1 and 10 now. StartIsBack fully integrates with Windows and provides original Windows 7 start menu experience, enhanced with many new features as well. Supports all Windows languages! As of October 2018 - StartIsBack has been updated to version 2.7.3 and is now compatible with Windows 10 version up to 1809.
anyone else having an issue with a strange glyph showing up in the shutdown button & totally screwing it up if you have the 'Display Glyph Icons' enabled!! WTF!! not cool!! As a rule of thumb, I always keep mine unchecked because it always screws with the button if you leave it checked. I just updated and have the same problem again I thought they got it sorted out this time, O well goodbye Glyphs. Last edited by Donkuz; 11-09-2018 at 04:00 AM. How do you customize StartisBack?